We are a leading Manufacturer of distilled water from Bengaluru, India. 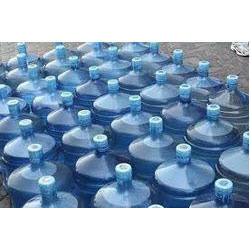 We are among the eminent names in the industry for supplying and trading Distilled Water. The offered distilled water has been formulated in high capacity distilleries for meeting the demands of clients. It is used in a wide range of industries including, chemical, automobile and medical. The offered product is formulated under stringent parameters of hygiene and is free from ions. Looking for Distilled Water ?